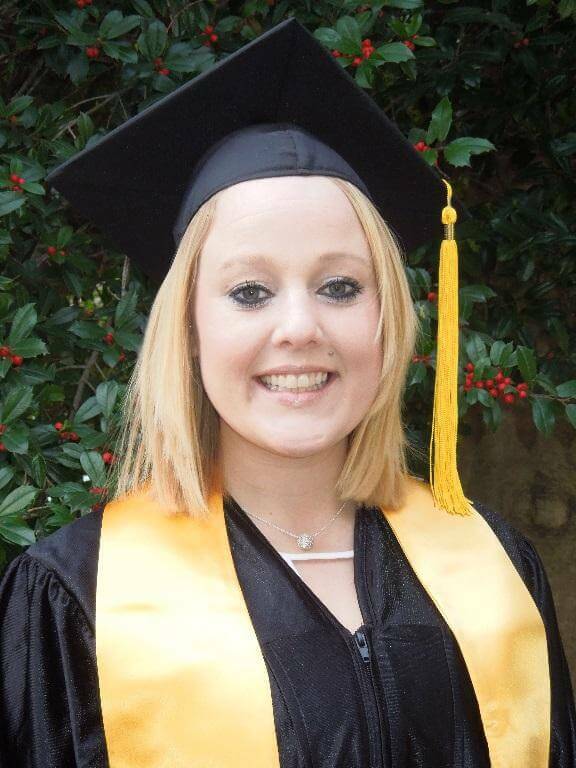 During her time at West Virginia Junior College Charleston, graduate Tammylinn Clutter found that the smaller classes and one-on-one instruction was the key to her academic success. “West Virginia Junior College was a smaller environment for me to learn more quickly and effectively. I tried the big college setting and there was a lot of pressure,” stated Clutter. The Business Management graduate says the individualized attention she received at WVJC helped her realize her dream of earning a college degree. Looking back on her college experience, Tammylinn says the thing she most enjoyed was knowing that she was doing something to better herself. “College is not required in life. However, it is an essential part of obtaining a great career or a position in the field you like. I enjoyed doing something better for myself” she said. Tammylinn graduated in February 2015 with a 4.0 GPA in the Business Management program. This accomplishment allowed her to be employed soon after graduation. Today, she is the Administrative Assistant at Delwood Equipment Company where she uses skills gained at WVJC to perform her daily duties. “I set this company up on Quickbooks online. I set up payroll, help produce estimates and invoices, and assist in selling parts to coal mines in West Virginia and surrounding areas,” said Clutter. Tammylinn enjoys her new career and plans to grow with this company for years to come. Clearly this graduate accomplished her goals and has a brighter future ahead. Tammylinn encourages current students to keep their goals in mind and know they have support. Inspiring words from an accomplished graduate. Tammylinn’s experience is not an isolated one. Many students find learning most effective when in smaller classes because they allow students to be more than just a face in a crowd and allow students to have personal connections with their teachers.